A College Student's take on Political Undertones in the awesome world of Video Gaming. Alright to be honest I am really excited about writing this article because I am a big Mass Effect fan. Okay that would be a large understatement, in reality I'm a HUGE Mass Effect fan. The game is full of so many political references that I can could go on and on. The fact that its all set in a 1980's inspired Sci-Fi Universe, (I mean its got a freaking 1980's synth inspired soundtrack, no I'm not kidding a synth based soundtrack), along with it being littered with tons of famous celebrity voice actors gives me a recipe for a game that I should just love.But rather than talk your ear off in an in cohesive nerd rampage it might be better for me to write this entry on a more specific topic. So this article is on one of the political situations in the game that I find most interesting as well as possibly one of the most relevant ones to a real world problem and that is the Quarian and Geth conflict. Particularly in how it serves as an interesting allegory to the real world Arab-Israeli conflict. 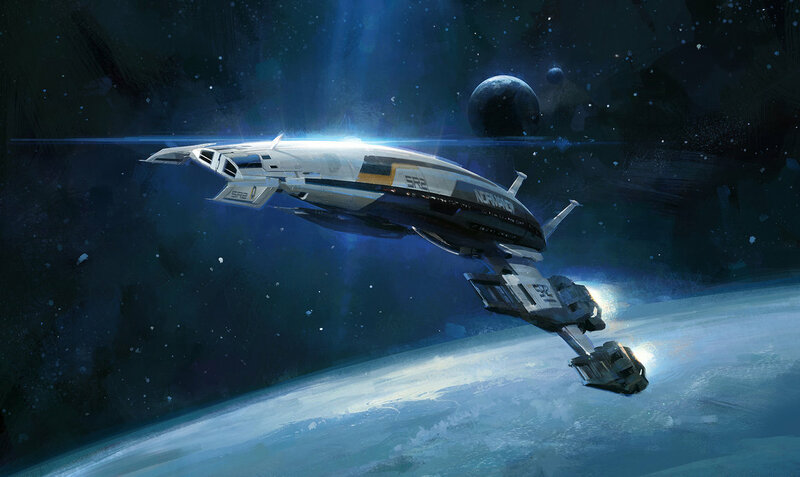 Now first off for those that have never played Mass Effect, Mass Effect is set in a fictional Sci-Fi Universe set roughly 200 years in the future. It follows the adventures of the human captain Commander Shepard, as he attempts to thwart an imminent apocalypse, all while having to deal with the intricacies of galactic politics and a galaxy that is reluctant to believe him. The Mass Effect Universe is full of a variety of different species and cultures and throughout the course of the game the player has to deal with pretty much every species at one point or the other, each having its own unique problems and issues. While I could go into an incredible amount of detail on each race and their culture such as the war-like Turians, the cosmopolitan Asari, or the clandestine Salarians, one species that really stands out to me are the Quarians. Now the Quarians are a race of nomads. They live aboard a 'floatilla' of star ships and are like a type of intergalactic gypsy if one will to the galaxy. They are an incredibly intelligent race and highly proficient in electronics and mechanics. Unfortunately because of their constant state of vagrancy due to a lack of a home world they are seen as a hindrance to the galaxy, and are often treated as second-class citizens. The Quarians were not always in this depraved state though. They used to have a seat in the Council, (the intergalactic version of the U.N.) and even had their own home world. All of that changed though when the Quarians accidentally created the Geth. The Geth are a race of artificial intelligences that were designed to be servants to the Quarians. They were never given the ability to reason or make intelligent decisions for themselves, and were if anything simply a group of very complex networked machines. The Quarians undoing though was in a small design flaw: and that was that they allowed the Geth to be networked. With this capability to work together, particularly in the ability to share ideas, the Geth eventually formed sapience. The Quarians began to realize this when the Geth started to ask questions about their own existence and purpose. Questions such as "Does this unit have a soul?" indicated that the Geth had a reached a level of self-awareness and panic ensued. Once the Quarians figured out that they had accidentally created artificial intelligence they attempted a preemptive strike to shut off all of the Geth in fear that the Geth may revolt due to their servile condition. In response to what would would have been an equivalent to an all out genocide for the Geth, the Geth attacked their creators. The resulting war ended with the Geth ultimately banishing their creators from the planet. 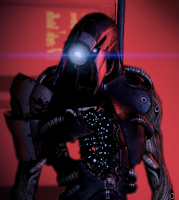 In response to this the Quarians asked for assistance from the Council in retaking their home world but as a consequence for creating a race of artificial intelligences, (a crime in the Mass Effect universe due to the inherent risks of AI) were not only refused help, but lost their seat in the Council. Now the Quarians are left with nothing left but a passionate desire to retake their home world. Like most any good science fiction worth its weight, Mass Effect leaves interesting ethical questions for the consumer, in this case: Is Artificial Intelligence a valid form of life? But where the developers at Bioware could have simply stopped and left it at that they decided to continue to bring up more thought provoking issues. The Geth and the Quarian Conflict resembles in many ways the age old conflict between Israel and its neighboring Arab states. While obviously the allegory doesn't work in every way , for one there are no robo-ethics involved in the Arab-Israeli conflict as well as the latter being a conflict based off of religion rather then revolution, the issue of fighting over a "homeland' or in this case a "home world" is key to both conflicts. Now The Quarians serve as an allegory to Israel in that they are currently in a state of exile, similar to the real life diaspora of the Jewish people. That along with the fact that the Quarians have to live on their planet specifically (or something very similar) due to their weakened immune systems is similar to how Israel is the only prescribed land for the Jewish people's Temple to be built and that no other land will suffice. The Geth on the other hand serve as an allegory for the multiple Arab states. While the correlation here is weaker than the Quarians to Israel the Geth are still similar to the Arab States in that they are divided into two different groups: Those who want peace, and the radical extremists. Similar to how in America people often generalize and think that all Islamic people are terrorists (a horrible generalization due to the actions of extremists and the ignorance of citizens), the Geth are believed to be all evil, wanting nothing but the destruction of organic life, when in reality that is only a splinter faction split from the larger and much more peaceful whole. Now everything that I just described is all back story before the series even begins (aside from the splinter geth faction, which is not found out until later in the story). 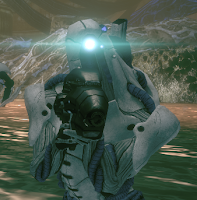 The first time that the Geth are actually introduced to the player is in the role of an enemy. The Geth are attacking an innocent colony and the player has to stop them to avert the deaths of thousand of civilians. As a matter of fact in the first installment of the series every Geth that the player meets is hostile. The reason for that is is that every Geth that the player encounters is serving a Reaper (an organic/ A.I. hybrid that exterminates all organic life every 50,000 years, the main antagonists of the series, but that's aside the point of this blog.) It actually serves as an interesting perspective that every Geth you meet is evil, because the first Quarian that you meet in the game turns out to a long and trustworthy ally. Tali Zorah, a young Quarian, joins the player throughout the first game of the series and serves as an expert in fighting the Geth. She also throughout the game explains to the player how the Geth were created and their history with the Quarians. 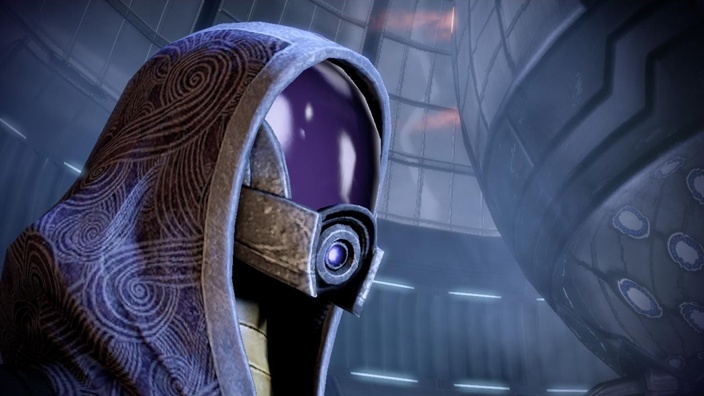 While the game allows the player to condemn the Quarians attempted genocide, when talking to Tali about it, the game ultimately presents a situation where it is more natural to want to side with the Quarians. Now if viewed a certain way, this perspective actually fits quite well with the allegory. The Quarians in the Mass Effect series can be viewed as a type of allegorical figure for Israel. Now if the player, Commander Shepard, were to be viewed as the United States, then it would only make sense for the player to tend to side with the Quarians more. Because in reality the United States, while a nation that tries to mediate peace in the Middle East, tends to take a stance much more in favor to Israel due to its Judeo-Christian heritage. While the Geth, in the first installment, come off as simply the bad guys. Everything takes a turn around though in the next installment in the series. In Mass effect 2 everything changes when the player encounters a Geth by the name of Legion, (a reference to the demon in the book of Matthew that Jesus casts out of a man). The name is used though not to "demonize" the character for lack of a better word, but rather to serve as a metaphor as to how the Geth do not think in a sense of individuality, but rather as a "gestalt intelligence" due to their networked mind. Personally I find the reference to an Abrahamic religion particularly interesting with all the allegorical things relating to the conflict in the Middle East already present in the Quarian-Geth Conflict. Now Legion, if the player gives the character the opportunity to explain, actually completely turns around the players understanding of the Geth. Legion works with Shepard throughout the course of Mass Effect 2 to defeat the Reapers ad explains that all the Geth encountered previously were only part of a splinter group known to the "True Geth" as the "Heretics". (interestingly another religious reference) According to Legion the majority of Geth want nothing to do with the Reapers, and that the ones that did only made up a smaller portion of the overall Geth collective. This division of Extremists and "Regular" Geth bears an odd similarity to the division and stigma that many people of an Islamic faith may feel today. The Geth are known for the actions of the "Heretics" and thus associated with them. In a similar way many Muslims are inaccurately assumed to be terrorists when they are nothing of the sort. Now one thing that is particularly interesting about the whole Quarian and Geth allegory is how the developers decided to juxtapose the designs of the characters with the real life nations they could be seen to represent. Particularly with the Quarians. For example the Quarians could be viewed as a reference to Israel yet interestingly enough the aesthetic designs of the Quarians appear to be more Islamic in nature. A good example being the Quarians enviro-suits and the striking resemblance they have to the hijaab from Islamic culture. Although unlike the purpose of the hijaab to maintain modesty, the enviro-suits of the Quarians are done simply out of a biological necessity due to their weak immune systems from living in a sterile environment aboard their ships for so long. Along with that the Quarians are required to go on a "Pilgrimage" once they reach a certain age. These pilgrimages are not done out of a religious obligation but rather are done to collect valuable resources for their fleet. Even the nomenclature can be seen as an example of juxtaposition with notable Quarian names such as Tali Zorah or Admiral Raan, all having a distinct Arabic sound them to them. Add that along with the fact that many of the Quarians have a Middle-Eastern dialect and you get a particularly interesting juxtaposition of cultures. I am personally not exactly sure why the developers decided to do this, but a friend of mine proposed an idea that I think makes alot of sense. 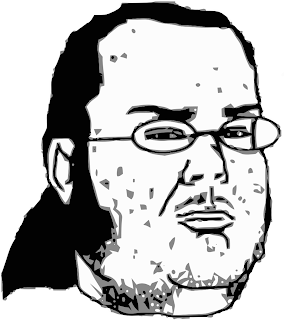 He proposed that reason that the developers mixed the themes around was to throw the consumer off. By juxtaposing opposing themes it allowed for the viewer to see the content for it's true substance matter, removing one's preconceived notions and bias. Now the developers at Bioware I have to say have found a masterful way to craft an ending to this conflict in the series latest entry, Mass Effect 3 (and I'm not referring to the ending of the entire game which I know is quite controversial). Unlike in the Civil War in Skyrim, (See my prior post) I felt a true sense of satisfaction and contentment at the ending I received. The ending for this plot ark takes place at a climatic confrontation on the desert Quarian home world of Rannoch (only fitting that the planet is a desert). By this point the Quarians and Geth have finally gone to a full out war. 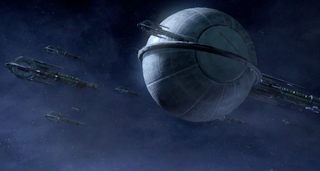 The Quarians had found an opportunity to attack the Geth, and seized the opportunity, causing immense amounts of damage to the Geth in their strike. In defense and ultimately a sense of fear, the Geth take up an offer from the Reapers, this time all of the Geth and not just the heretics, to give up their free will in exchange for hardware upgrades to protect them from the Quarians. Its up to the player at this point to go and fight the Reapers off of the Quarian Home world. Along the way the player meets up with Tali and Legion, who was able to remain free from Reaper control, and fight alongside both of them to fight the Reapers off of the planet. Eventually after all the fighting has come to a still, the player has to make one final decision and its a grim one. The Quarians and Geth are still fighting over the planet in space. With the Reaper destroyed the Quarians are about to fire on the Geth, in the process completely obliterating the Geth collective. Without the Reaper, and with so many Geth dead the Geth are essentially helpless. Its at this point where Legion proposes to the player the idea of uploading a code from the Reaper that will allow the Geth tho be individuals, capable of operating but free from the Reapers control. Tali though objects claiming that if the Geth are upgraded then they will be able to retaliate and that will mean the end of her people. Legion will say that " he regrets the deaths of the creators, but he sees no alternative", which then Tali begs the player not to do this. This is where all the conflicts and politics boil down. Do you upgrade the Geth? Since all they ever wanted to do was live or do you protect the fleet, since the Geth have proven twice now that they cant be trusted and the Quarians have gotten so close? The decisions are quite grim. Luckily the player can, if they played their cards right (i.e. protect people who wanted peace, keep important character alive, etc.can convince the Quarians to call off their attack and realize that peace is an option. After this, albeit the vision is incredibly idealistic. the Geth and Quarians agree to peacefully coexist on the Quarian home world. Bioware successfully manages to fit in alot of thought provoking themes into Mass Effect. The Quarian-Geth war alone is full of numerous political themes such as: property ownership, nomadic lifestyles, political insensitivity, coexistence, and many more while simultaneously interweaving the philosophical question: Is Artificial Intelligence Life? Even deeper beneath the surface though it deals largely with the idea of coexistence and whether or not its possible and if it should be achieved. A theme particularly relevant with the Arab-Israeli conflict. Ultimately the game has a surprising amount of details and moral lessons that can be learned if a consumer is willing to take the time to take the time and look for them. Just my thoughts on one of my favorite parts of Mass Effect. As this blog was related to a very culturally sensitive topic, I am more than welcome to hearing other opinions. Interestingly, my take is the exact opposite. In my mind, it is the Geth who are the Israelis and the Quarians who are the Arabs. 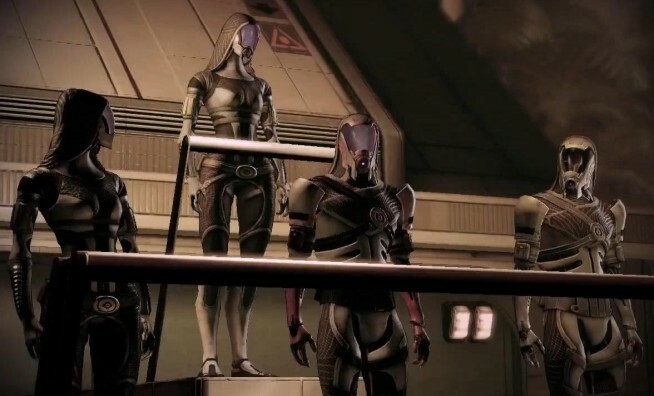 The Quarian women wear garments that completely cover their flesh (the men do too, but we see more of the women), they speak with Arabic accents, and more importantly, they resent the Geth for taking their homeland and most seem to favor nothing less than the genocide of the entire Geth people. To me, this is a direct allegory for how Arabs feel about Jews. In fact, in my first playthrough, I sided with Legion. After seeing the result, I planned to side with the Quarians the second time around, but as I get closer and closer to that point in the game, I realize that as a Jew, I don't think I can do it. I'm not even kidding. There is no allegory. If Quarians didn't wear those suits, no one would be comparing them to Muslims. There's literally nothing about them that make good comparisons to Muslims. The reason they cover up is completely different, the males wear those suits, Tali's the only one with that accent, and they got kicked off their home planet because of a robot revolution. Maybe the Quarians were designed as an experiment to see how many people know nothing about Muslims. Quarians are the Palestinians, Geth are the jews. Don't know why that isn't obvious enough.